Following a landmark Spanish legal ruling at the end of 2015, reclaiming Spanish Property deposit is now a very achievable aim. 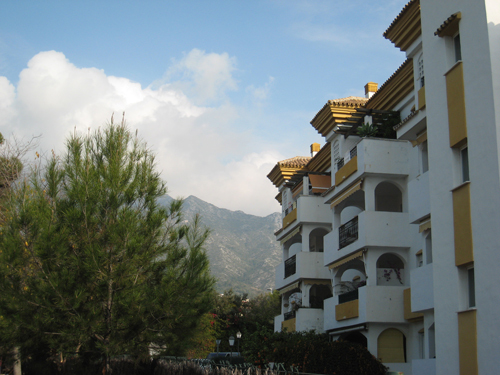 In the recent Spanish legal ruling on reclaiming Spanish Property deposits, which was passed on December 21, 2015, the Spanish Supreme Court has held that Financial Institutions such as banks and cajas (Spanish Building societies) are liable, along with builders and property developers, to make sure that refunds of amounts paid by property buyers are refunded where properties are not delivered on a timely basis. The ruling obviously has huge consequences for those who purchased property in Spain that was never built. It means that these buyers are due a full refund from the bank or caja even if the developer has gone into bankruptcy. The basis for the ruling is that, by Spanish law builders and property developers receiving funds for property had to put these funds in a specific bank account and were necessitate to provide their clients with a bank guarantee. The bank was obligated to ensure that such an account existed and would be liable for the return of these deposits in case the developer failed to deliver the property. If you are interested in Spanish Property Deposit Recovery and would like further information on the Spanish Property Deposit Reclaim Rulings or the Requirements for making a Spanish Deposit Reclaim visit our SpanishReclaim.com website which has been set up specifically to deal with this issue and facilitate application for refunds in the most efficient and cost effective manner. This obligation was totally flouted by Spanish developers, particularly in the run up to the economic crash in 2008. Following this many developers were declared bankrupt and purchasers presumed their deposits had gone with them. The unfinished constructions were virtually worthless and advances paid were almost universally spend by developers. This led to clients presuming they had lost all their money. Their likelihood of getting anything from the liquidation of a failed property development was so small as to make the claim unjustifiable. This Supreme Court ruling on reclaiming Spanish Property deposit upholds the finding that financial institutions, in which the defaulting property developers deposited their customers money, are liable for the refund of the deposited funds. In the upholding of this ruling the court dismissed the financial institutions’ arguments against the claims, thus paving the way for claims by defrauded home buyers right across Spain. As a result, the right to recover the deposits placed on property in Spain is solid and financial institutions are now obligated to reimburse the deposit plus legal interest. Claims are restricted to 15 years from hand over of the deposit, so the clock is ticking. As the financial institutions have been found to be jointly and severally liable for the breach the action can be taken directly against them without having to firstly take the developer through the court procedure. Of course Spanish financial institutions are not going to voluntarily tell those who put deposits on property that they have a claim. The onus is on those affected to make the claim before the statute of limitations prevents them doing so. It is estimated that, once a claim has been successfully filed, it will take 12-15 months to achieve the return of funds, plus interest. It is important to deal with a company versed in completing the paperwork to make such claims as you can only apply once. If affected must make sure they really have the best legal assistance with experienced and expert lawyers. Filing in the Spanish reclaim forms is complex and daunting even if you are fluent in Spanish. It is a task that should only be undertaken by a legal expert specialising in this area. Whoever fills out the forms need to be fully versed in Spanish legal claims, as there is no single form to fill in. I have actively sourced the company that is considered the most experienced in this area and this company has agreed to split its commission, so it will cost you no more than it would have going directly to them. Because this company completes similar claims on a daily basis, it is extremely proficient at them. Please do get in touch if you would like to obtain a free analysis of your case. If you are interested in further information send an email to info@diarmaidcondon.com or visit SpanishReclaim.com and we’ll take it from there for you. You can keep up to date with me on Twitter where I have started the #SpanishPropertyDepositReclaim hashtag for those interested in spreading the word on this unique opportunity.